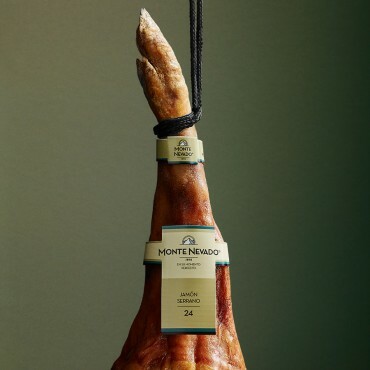 Serrano ham "24", is from pigs of Celtic origin, bred in Spain and selected for their size, age and proportion of fatty material. 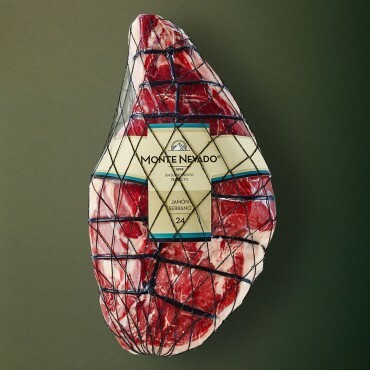 Tasting note: Meat has hues ranging from pink to purplish red with a fine grain, and may occasionally show tyrosine crystals as a result of its lengthy curing process. Characteristic fragrance of delicately cured meat . Weight : 7,5 - 8,0 Kg. The fame of the Monte Nevado Serrano ham is a matter of experience: for many years we have known how to find the key to a unique maturation process. We select hams from heavy pigs, which allows us to extend the curing process for an average of 24 months. When it’s ready, Serrano 24 exits our main gate: it has reached its moment of perfection. 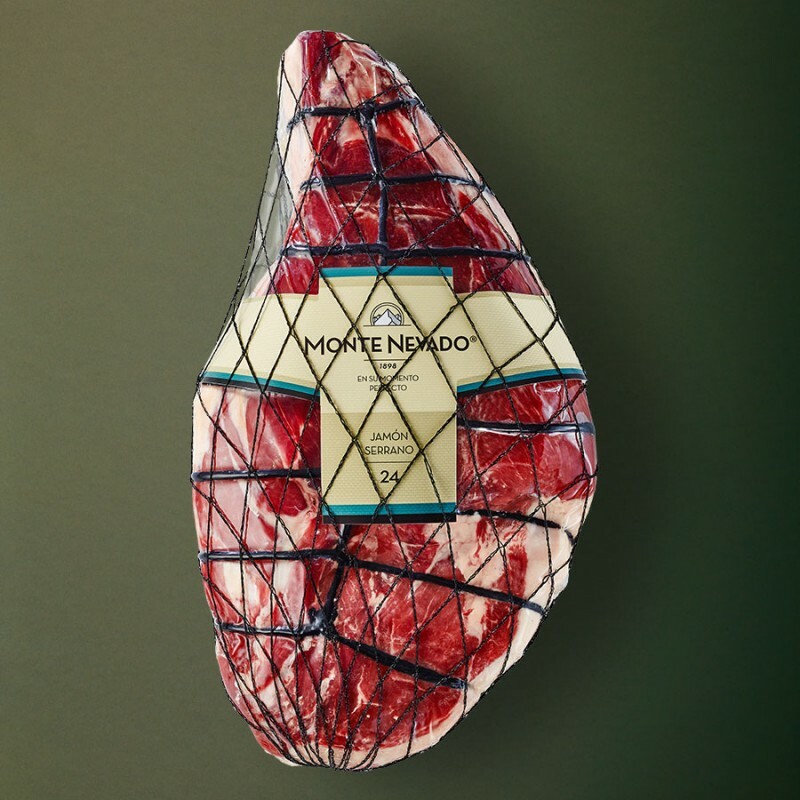 Our master ham artisans review and classify each shoulder ham piece by piece, and are responsible for ensuring that each one receives the appropriate maturation period. Our experts decide when each piece is ready and worthy of carrying the Monte Nevado label. Each ham at its moment of perfection, no matter how long it takes.